EDMONTON, Alberta (CNS) — Pope Francis has added his name to the list of people offering prayers for Canadians affected by the massive wildfires that have led to the evacuation of Fort McMurray. The pope said he was praying “for all the displaced, especially the children, who have lost their homes and livelihoods” and asked God to bless civil authorities and those coordinating the evacuation and providing shelter for the nearly 90,000 people left homeless. He also asked for strength and perseverance for those who are battling the fire. The pope’s message came via Cardinal Pietro Parolin, the Vatican’s secretary of state, through Archbishop Luigi Bonazzi, the apostolic nuncio to Canada. In a letter to parishioners in the Edmonton Archdiocese, Archbishop Richard Smith said Catholics are “shocked and saddened by the sudden destruction caused by the wildfire” and asked Catholics for prayers. The archdioceses of Edmonton and Grouard-McLennan planned special collections on two weekends to assist Catholic parishioners in the two Fort McMurray parishes and the Fort McMurray Ministerial Association. The Calgary Diocese planned a collection in parishes May 14-15. Archbishops Smith and Gerard Pettipas of Grouard-McLennan encouraged Catholics to also consider making direct donations to relief for fire victims through the Red Cross. Those donations will be matched by the provincial and federal governments. Ukrainian Bishop David Motiuk of Edmonton also encouraged people to donate to the Red Cross. 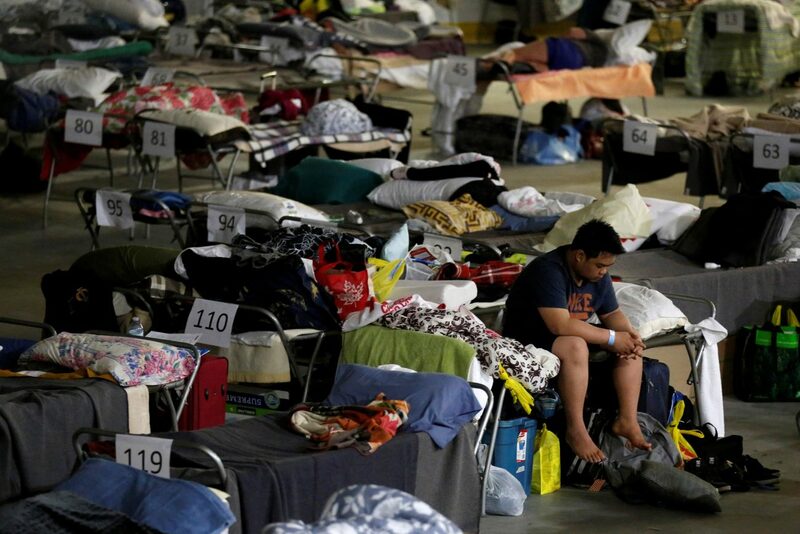 The Edmonton Archdiocese responded to a request for chaplaincy support at the Edmonton Expo Centre at Northlands, the main gathering point for evacuees in the Alberta capital. Four Edmonton area parishes responded to an Alberta Health Services request to provide accommodations at churches that have large kitchens. Cardinal Thomas Collins of Toronto, a former bishop of both St. Paul and Edmonton, asked people in Canada’s largest Catholic archdiocese to contribute to a fund for relief for the victims of the fire. The archdiocese said it would funnel the donations it receives through the Red Cross. Earlier, Bishop Terrio issued a statement giving thanks that there had been no loss of life as a result of the wildfire. 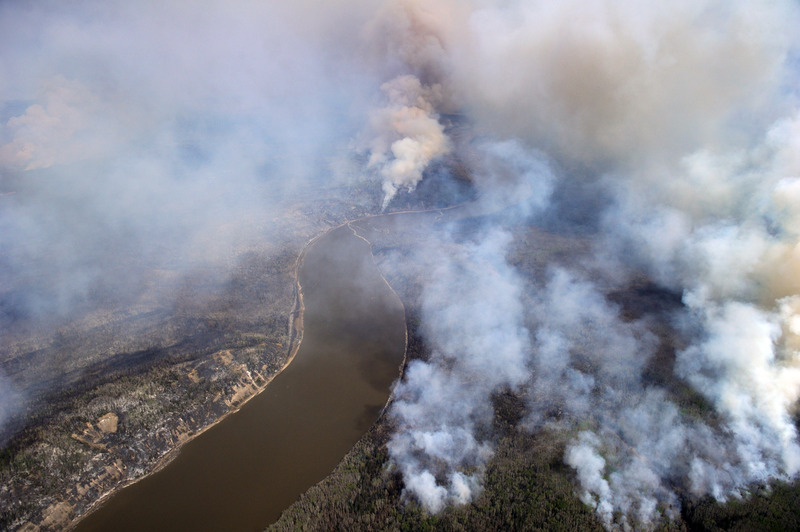 “This fire disaster is a hard blow at a time when Fort McMurray is already struggling under an adverse economic situation,” wrote Bishop Terrio. He noted the economic slowdown with the worldwide drop in oil prices that has severely affected the local economy in the heart of Canada’s oil country.